Water Lily Sioux is a beautiful flower with a lovely fragrance opens a pale yellow deepens to a peach and then turns into a copper red. A perennial plant with heart shaped floating leaves and exotic blooms that may float or stick above the water opening in the morning and closing in the afternoon. Plants multiply easily the dying and rotting parts provide food for fish birds and ducks. Make your water feature come to life every summer with magnificent Water lilies. Grows in water at least 45cm deep. Requires a full sun position will flower in late spring through to mid summer. Supplied as a dormant plant. Planting Width: 50 – 70cm. Depth: 45cm Plant the tubers lying flat. 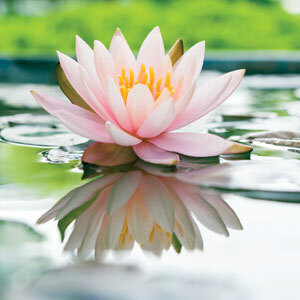 General Information: Water lilies are available in a variety of colours. Watering: Must be grown in water depth of at least 45cm and will grown in water up to 1.8m deep. Fertilising: Fertilise in spring using slow release tablets for waterplants. Pruning: Lift and divide the plants every 3 – 4 years. ✔ Ideal for Ponds, Dams or Water Features. Tips: Will flower best in an area that gets at least 5 hours of sunlight per day. Water lilies are compatible with fish in ponds.